HK-based blockchain startup Block.one, publisher of the EOSIO blockchain protocol, a blockchain platform for decentralized applications, and maker of the fifth-most valuable cryptocurrency by market capitalization, announced that world-renowned venture capitalist and entrepreneur Peter Thiel, co-founder of Bitmain, China's largest bitcoin miner, and PayPal, has invested in the company, along with other notable investors, such as Louis Bacon, and Alan Howard. Pundi X, an Indonesian start-up that is looking to build an offline cryptocurrency sales network in the region, has completed a trial of its point-of-sale (POS) device putting it on track to deploy some of the 5,500 units in Hong Kong by the end of August. 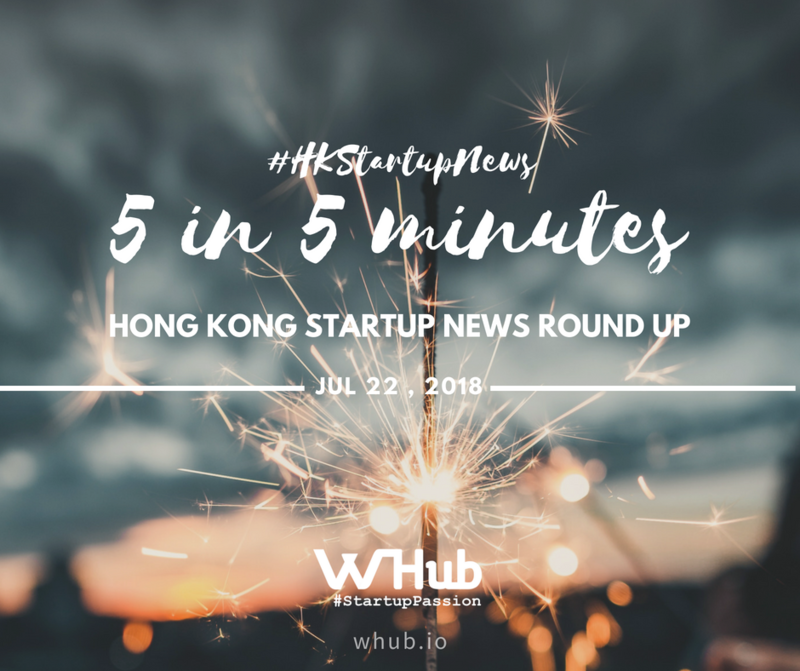 “Hong Kong is the perfect place for us to do a test drive before a large scale roll-out as there are many tourists, expats, and early tech adaptors,” said Zac Cheah, co-founder and CEO of Pundi X. Its move to broaden the use of bitcoin and other cryptocurrencies for retail payment at the city’s cafes and restaurants effectively challenges the position of the Hong Kong Monetary Authority, which has said bitcoin does not qualify as a means of payment or electronic money. Stay tuned for WHub's Co-Founder & CEO Karena Belin's Interview with Pundi X during RISE! It takes Eatigo to over $25 million raised to date which, given that the startup has raised more than $15 million following the completion of its previous round, suggests that the amount is around the $10 million mark. This also signals a closer relationship between Eatigo and TripAdvisor, and particularly TripAdvisor’s The Fork subsidiary and its TripAdvisor Restaurants service. The Eatigo service is present in six countries where it claims four million registered users and over 4,000 restaurants. Hong Kong Applied Science and Technology Research Institute (ASTRI) and Cyberport, the digital tech community comprising over 1,000 technology companies, partnered for the ASTRI Technovation Day. The partners goal is to introduce ASTRI to the Cyberport tenant companies, particularly the technology start-ups in FinTech, Blockchain, HealthTech and Artificial Intelligence (AI). Through events like this, ASTRI hopes to develop the connection with the technology start-up community and provide necessary support to them. ASTRI Technovation Day had a clear mission of fostering collaborations, boosting technological capabilities, sharing useful information about funding resources, and updating participants on ASTRI's technology partnership models. Over 40 start-ups took part in the event which also included insightful sessions on Blockchain Applications, Artificial Intelligence (AI) and Data Analytics, along with a facilitated business matching session for AI and Blockchain stream start-ups. Wework, the $20 billion office rental co-working startup announced that it will no longer reimburse employees for meals that include red meat, poultry, or pork and will stop serving meat at company events. Employees who need medical or religious allowances are being referred to the company's policy team. "New research indicates that avoiding meat is one of the biggest things an individual can do to reduce their personal environmental impact, even more than switching to a hybrid car," Miguel McKelvey, WeWork’s co-founder & CCO, said in a statement.